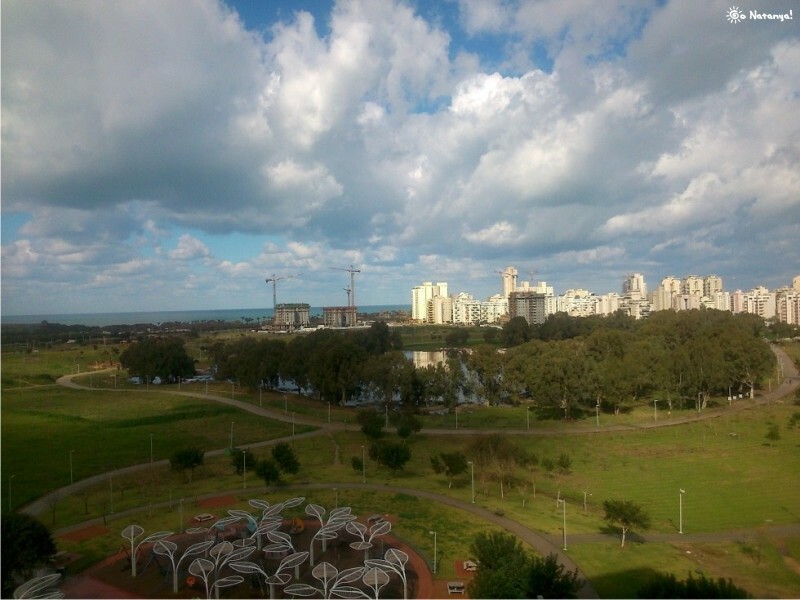 There is an intereting place in Netanya: the park, that called “Shlulit haHorev”. This is a very big park for Israel, because many places, that people call “park” here are too small, and look like little squares. But “Shlulit” is big enough! It even has its own lake! The name of this lake (“Shlulit haHorev”) in Hebrew is the name of the whole park. Do you want to know what does it mean? Ok, we will tell you. So, “haHorev” in Hebrew means “winter”, or “the season of rains”. There is no “winter” in Israel as it is known in Europe, or in the USA. Snow in Israel is a disaster, and when it starts, an Israel Army “fights” against it. We are seriously! Army’s trucks and tractors help citizens to live out these two or three horrible days. But we are talking about the name of the park. 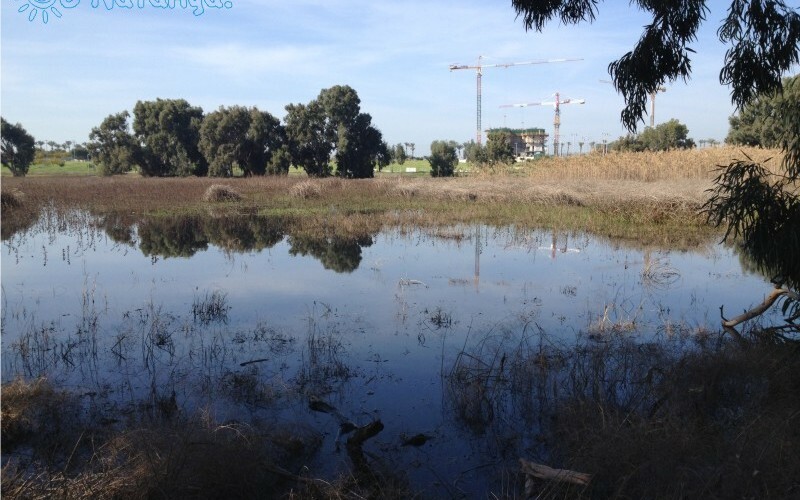 So, one part of the name we know, is “winter”, and the second part (“Shlulit”) means… “puddle”! Can you imagine that? The most beautiful park in the city has the name “A winter puddle”! Ok, and what we have in this puddle-park? There are two parts of it: in one part of the park, we can do sport, or make a barbeque. In another part, we can walk nearby the lake and observe nature. And we think, that the second “time-spending” is quite interesting for everyone. This little lake is full of lifeforms! Here live different kinds of animals. The biggest part of them are very small insects and crustaceans. But not only they. For example, there are many beautiful birds. Here we saw Little Egret. These birds are very rare, but they can live here, because nobody make them harm. We have never seen this bird in another place, and were very happy, when met it here. It was walking right beside us, and it was not afraid of people! 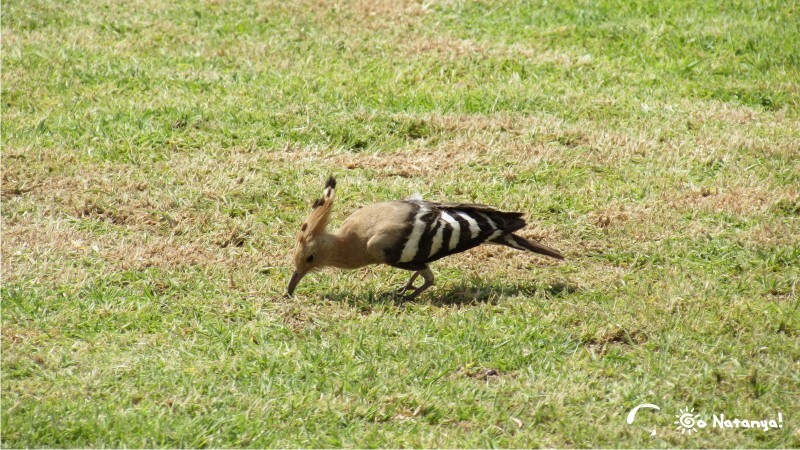 Here we saw another kind of birds, – Hoopoe. 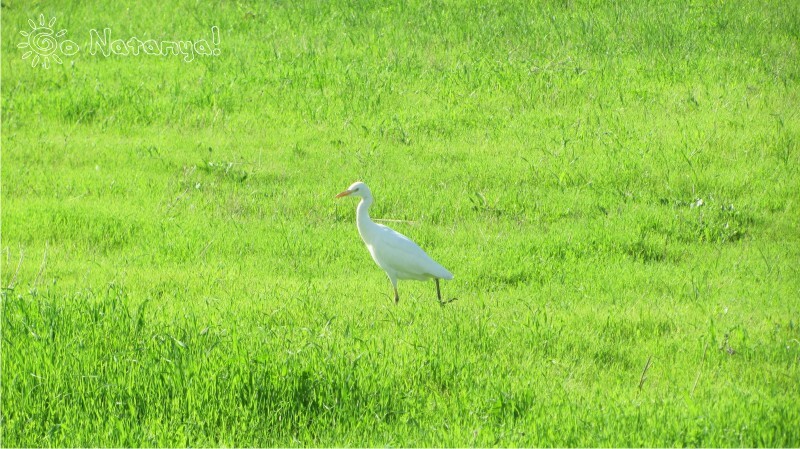 These birds are not so rare as Little Egret, and you can meet them not only in “Winter Puddle”. Hoopoe looks very funny, and we always like to watch it. It has a very long beak and beautiful crest on its head. 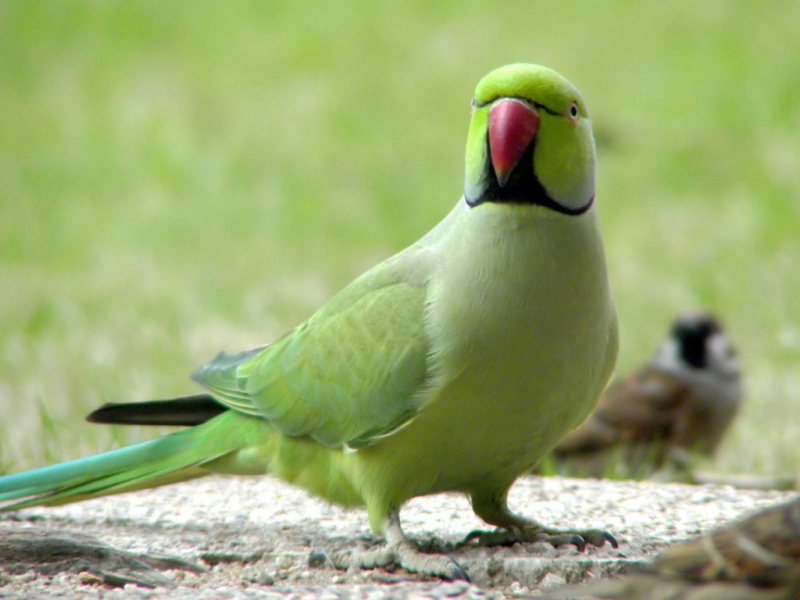 But the most popular birds in this park are Green Parrots, that live on trees, near the lake. These birds are very loud, they always scream, and their voices could not be called nice. It looks like somebody scratches an old pan by the fork! But if you don’t live near this park, it’s ok. For the first, second, and even third time, their voices don’t seem intrusive. 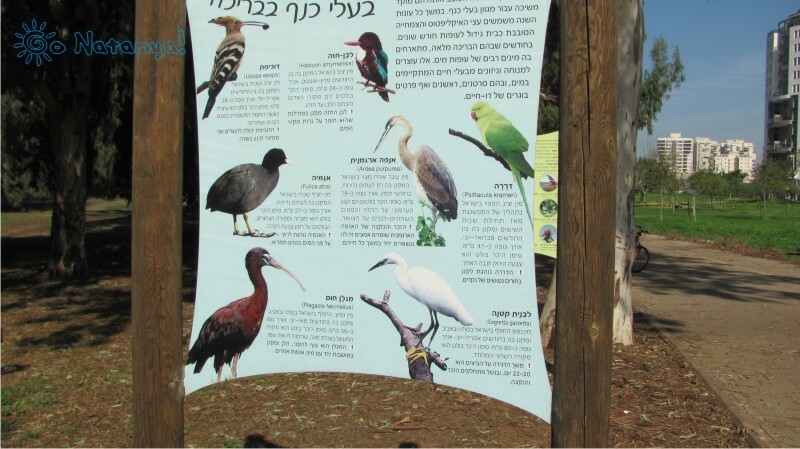 These birds are very beautiful, and everybody (but the neighbors of this park) loves them. They make a big swarm and fly from a tree to tree, like sparrows! Besides birds near the lake live many other animals. Sometimes you can see here lizards, that lay on the stones. But be careful, don’t walk through the reeds, there can be snakes! Here live venomous vipers, that can bite everyone, who steps on them! Their poison is very dangerous in Israel’s climate. But if you don’t try to find some kind of “extreme”, everything will be ok. It seems, that this park is a perfect place for riding on a bike, or rollerblading, but it’s not almost correct. Because of birds there are too much of wooden junk for rolling on skates. And because of many acacias growing up around, there are many spikes in the grass, that can damage the wheel of a bike. It’s much better just to sit here, and think about value of a life. Everything here was made for it by nature.